Shouts 2 the Swinging Bell nd Hackett Family ⇨ #Extravagant 50th Bday Bash (Red Carpet Affair) 4 Uncle/Big Kenny @Kenvoyna100 's father! 11 Nov 11 copy & paste +upvote -downvote Shouts 2 the Swinging Bell nd Hackett Family  ⇨ #Extravagant 50th Bday Bash (Red Carpet Affair) 4 Uncle/Big Kenny @Kenvoyna100 's father! good to cuddle in bed! 12 Nov 11 copy & paste +upvote -downvote  good to cuddle in bed! @cucuheadcp you found out emoji!!!!! My 11-11-11 wish came true!! So so proud of all the football guys, especially the defense!! Cheerleaders, band and fans were awesome too! @eve_draper iPod! You should get the app; emoji I think it's called, it's like a keyboard of smileys, yey! 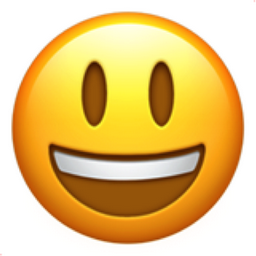 Like Smiling Face with Open Mouth Chronological Emojitweets 57?